PASS Data Arch. Virtual Chapter: On beyond Zebra AdventureWorks OR where did I go wrong? Subject: On beyond Zebra AdventureWorks or where did I go wrong? On beyond Zebra AdventureWorks OR where did I go wrong? No matter how well planned and executed, the data structures of any data warehouse oft times eventually land up resembling something out of a Dr. Seuss book. In this presentation we shall be looking at and discussing a few of the “perfect” data structures (that I have inherited) and discussing the flaws that have only recently surfaced. We shall be looking at the ‘before’, discussing a few alternatives to make these structure more efficient and effective, then we shall then look at final “production structure” and the resulting improvement metrics; all of which help us to help our clients’ make better decisions in a timely manner. Steve Simon is a Senior Business Intelligence Engineer with MyWebGrocer in Burlington Vermont. He has been involved with database design and analysis for over 26 years. Steve has presented papers at eight North American PASS Summits (in Orlando, Seattle WA (4), Denver CO (2) and San Francisco CA), two at PASS Europe 2009 and one at PASS Europe 2010. He has just recently presented at the Johannesburg and Cape Town SQL Server Saturdays. Steve is actively involved with the SQL Server community within the Boston area and is a regular presenter at the New England Code Camps and SQL Saturday events and participates actively on many of the Microsoft User Forums. 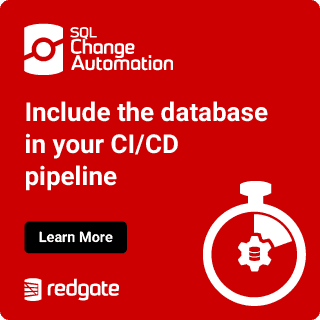 He is also the Virtual Chapter leader of the Professional Association for SQL Server (PASS) Oracle – SQL Server Virtual Chapter and is a PASS regional mentor. Steve has also presented papers at the Information Builders’ International Technology Summits ( in New Orleans (1998), in Orlando (1999), Las Vegas (2007), two in Nashville (2008), one in Nashville (2009), one in Orlando 2010 and will be presenting a paper at the 2011 Summit in Dallas TX). Steve has also had two papers published in Information Builders’ Systems Journal, is the chairman of the Boston User Forum and is a regular User Forum and Webinar presenter for Information Builders.